Of all the exhibitions at this years EB EXPO, none were as loud, brash or generally as busy as EA's Battlefield 4. 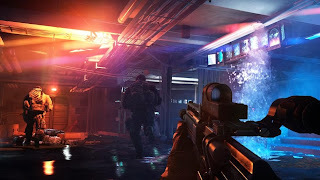 Guarded by a life size tanks, military cosplayers and EA Australia's own Jiggsy wielding a t-shirt cannon, the Battlefield 4 compound was consistently swamped with punters eager to get their hands on the incredibly popular first person shooter. EA have done something slightly different with Battlefield 4 and integrated a great deal of offline content so that even if you're away from your chosen platform. Your BattleTAG shows your battle prowess and, at EB EXPO, every step of your hands on journey was tracked and uploaded to your profile including an end of battle photo opportunity. The game itself is basically more of the same from the Battlefield franchise with a couple of exceptions such as the reintroduction of Commander mode. The sound palette is so incredibly realistic with everything from whizzing bullets to the sickening thud of bullets impacting with flesh. Sadly, this was a sound that I heard all too much. Frankly, I stink at Battlefield. Little touches like the crunch of sand under foot, a gasp of breath when surfacing from a swim of the flap of your parachute ensure that it's not all bang boom POW! Being as bad as I was at the game, I found myself taking cover behind concrete blocks which were quickly made shot to swiss cheese. I may as well have been hiding behind a tree... which also get shot to pieces as well, in case you were wondering. The destructible environments feel incredibly real with mini-guns mowing down an island of trees and heavy machine guns tearing through concrete blocks, and me. Seeing shards of glass, chunks of concrete and earth being thrown up as bullets pepper your feet gives a real and serious sense of danger. The evolving environment gives a sense of time as though you've been deployed for hours as opposed to minutes of intense game time. By the end of a map, it really does resemble a war zone. 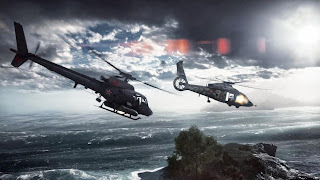 Battlefield 4 was definitely a fun experience even if I found myself being consistently shot in the face by 15 year olds. Now I know how Danny Glover feels. 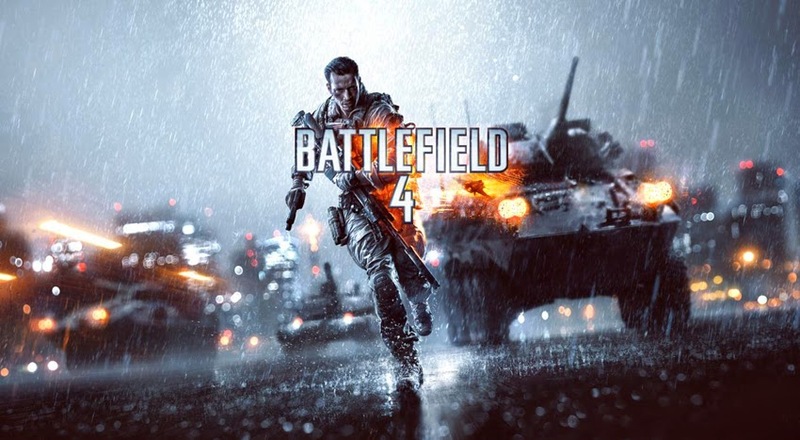 Battlefield 4 launches on the 31st of October on Xbox 360, PS3 and PC and on next gen consoles in November.